During 2015 Urban Melbourne highlighted Essendon's Keilor Road and surrounds as a prime example of progressive high density living along a transport corridor. More specifically Keilor Road's drift toward medium density development is essentially what was envisaged by City of Melbourne's Director of City Design, Rob Adams in his Transforming Australian Cities study. Principally focused on exploring "The potential yield that could accrue through good urban design of the urban corridors/strategic sites," Keilor Road and the adjoining Mount Alexander Road fit the bill with both tram and bus services present. 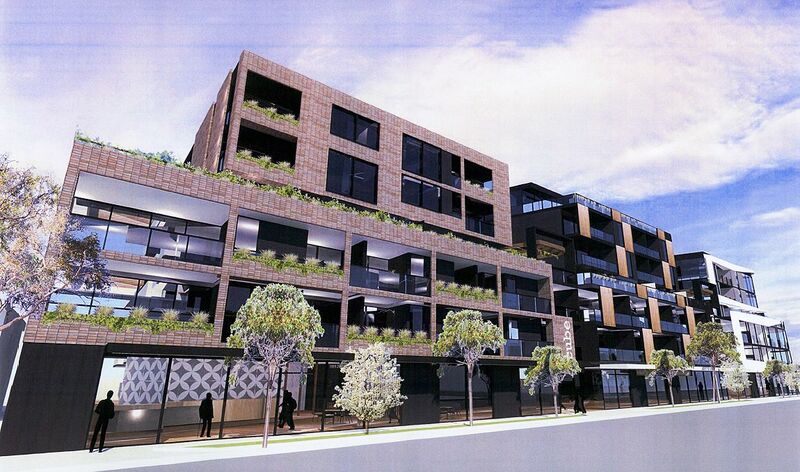 Fast forward beyond last year's article and Moonee Valley City Council are assessing the latest development looking to call upon Keilor Road with Romano Property Group seeking to add 142 apartments to the evolving strip. Currently vacant former car dealership covering 4,470sqm. Three apartments buildings proposed of up to seven levels or 21.6 metres. 142 apartments: 59 * 1BR, 68 * 2BR, 15 * 3BR. 203 car parking spaces, 135 bicycle spaces and 114 storage units included. Three ground floor tenancies: 1,000 sqm. 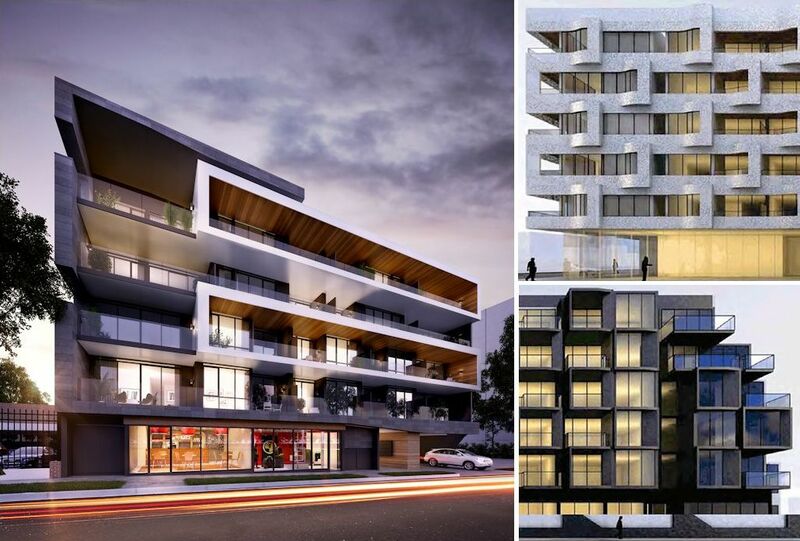 ClarkeHopkinsClarke have designed 165-169 Keilor Road, continuing their relationship with Romano Property Group which now see's a handful of ClarkeHopkinsClarke-designed projects in development for the North Melbourne-based outfit. At 4,470sqm and with 107 metres frontage to Keilor Road, the former ŠKODA dealership continues the trend of large development plots in the area being repurposed into sizeable apartment developments. A former stronghold of various car dealerships which have since been lured to Essendon Fields, 165-169 Keilor Road represents one of the last sites along the strip to go this way. The domino-like fall of these prime Keilor Road and Mt Alexander Road sites has accelerated in recent years, while the scale of apartment buildings proposed has also increased. Directly opposite 165-169 Keilor Road, Blue Earth Group have sought approval for an apartment development on what was a former Nissan dealership. Amended plans would see 232 apartments created within a multi-staged, CHT Architects-designed apartment building. The project at 144-160 Keilor Road is now in the hands of VCAT after the adjusted plans were submitted during October. ClarkeHopkinsClarke are also enjoying further exposure within Essendon with two additional projects in development. 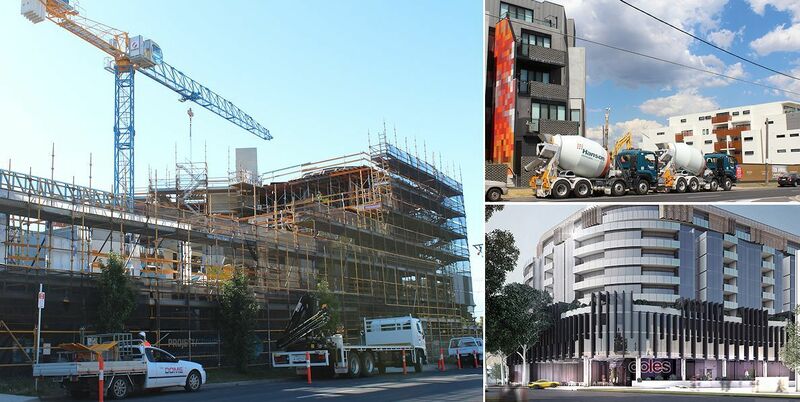 Accord Property Group's Alexa is under construction while Parkside Essendon is Goal Property Group's latest pursuit. CBD Development Group shapes as the latest entrant into the area, running with a sizeable apartment development at 1144 Mt Alexander Road. Yet to reach City of Moonee Valley's planning channels, the project dubbed Unique on the Park is the design of Peddle Thorp and will feature a full size Coles supermarket at ground level along with ancillary retail. Keilor Road's most recent apartment project completion was BPM Group's Collins and Queen which provides an additional 116 apartments for the strip. Over recent years Keilor Road alone has seen seen seven substantial apartment developments completed, with the likes of Amne, Essque, Erantis, Horizon, Mink and 386-388 Keilor Road joining Collins and Queen in pumping 520 additional dwellings into the area. Recently completed Mount Alexander Road apartments total 240 dwellings. The influx of apartment developments through Keilor Road and Mount Alexander Road has also served to alter the streetscape with increased retail and commercial tenancies replacing what were previously for the most inactive street frontages.